ZSL, in collaboration with our conservation partners, the Department of National Parks and Wildlife Conservation, the National Trust for Nature Conservation, Himalayan Nature, Mithila Wildlife Trust and the Community Forest User’s Group, is proud to announce the establishment of the world’s two first Community Managed Pangolin Conservation Areas (CMPCAs) on World Pangolin Day 2018. Pangolins are unique. They are the world’s only scaly mammals, they have large powerful claws, and long sticky tongues, which are fastened deep inside their bodies next to their pelvis. But these extraordinary animals are now threatened with extinction. Their numbers are plummeting all across their range. This is due to unsustainable levels of poaching to feed demand for their body parts in traditional medicine, and as a luxury food item. It is this combination of distinctness and threat which makes pangolins a ZSL priority. 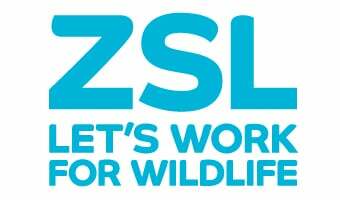 All eight pangolin species are on ZSL’s Evolutionarily Distinct and Globally Endangered (EDGE) list. Protecting pangolins is a challenge for two reasons. Firstly, our knowledge of their distribution and population numbers is limited. This is a result both of limited historical resources invested in research on pangolins, and of the inherent difficulty of finding and counting pangolins in their forest habitats. Pangolins are solitary and primarily nocturnal, as well as spending much of their time in trees or hidden in undergrowth; this makes traditional mammal survey methods largely unsuccessful. Secondly, as pangolins are small-bodied and little-known their poaching and trafficking is often very difficult to notice. For example, poachers who kill pangolins will usually take the whole carcass with them, leaving no trace. Similarly, traffickers will often hide pangolin body parts among other goods or simply pretend they are something else. For example, supposed shipments of charcoal have been found to actually be large numbers of similar looking pangolin scales! Of the eight pangolin species in the world, two occur in Nepal: the Indian pangolin and the Chinese pangolin. ZSL is working with its partners, the Department of National Parks and Wildlife Conservation, the National Trust for Nature Conservation, Himalayan Nature, Mithila Wildlife Trust, and the Community Forest User’s Group across Nepal to develop innovative approaches to overcome the challenges of conserving pangolins. Chief among these has been finding effective, sustainable ways to engage communities in pangolin conservation. Achieving this will make a key contribution to overcoming both the main challenges of pangolin conservation. Firstly communities’ traditional ecological knowledge, and constant presence ‘on the ground’ is a valuable source of information to improve our knowledge of pangolin populations and distributions. Secondly, reducing communities’ willingness to participate in, and tolerate pangolin poaching, is a direct route to reduce the numbers of poachers in the forest. Thirdly, if we could go further and engage communities in actively patrolling the forest for poachers, then this would provide an invaluable ‘on the ground’ presence to stop poaching occurring, something that is currently lacking outside protected areas. On World Pangolin Day 2018 our conservation partnership is therefore proud to announce the establishment of the world’s first two Community Managed Pangolin Conservation Areas (CMPCAs) covering around 700ha in Makwanpur District, in the Himalayan foothills. The first was established in September 2017 and the second was established on the occasion of world pangolin day 2018! Together these ground-breaking conservation initiatives represent the effective engagement of communities to deliver all the benefits outlined above. So what are CMPCAs? And how will they work? Put simply they are community-managed conservation areas, which will be regularly patrolled by a dedicated Community-Based Anti-Poaching Units (CBAPUs). The CBAPUs consist of a diverse group of around 26 community members, representing the ethnic and cultural diversity of this part of Nepal. However the CMPCAs are much more than this. They will provide a central community organisation to coordinate and implement a wide range of initiatives to support pangolin conservation while providing robust benefits to communities. This combination of conservation and community benefits is vital to reinforce community support for the CMPCAs, and, over time, cement the CMPCAs as self-sustaining community institutions. Improvements to community livelihoods will also play the vital role of providing rewarding alternatives to pangolin poaching and trafficking. The CMPCA management committee will therefore coordinate a range of sustainable livelihood improvement initiatives. Firstly, they will support the operation of a livelihood cooperative led by local women to ensure that benefits from livelihood improvements are shared equally across the community. Secondly, they will manage a micro-loan scheme to enable community members to take loans and invest in their livelihoods, such as more productive crop breeds or improved agricultural tools. Thirdly, they will coordinate targeted livelihood training courses to local community members to both help them be more productive in their current livelihoods, and potentially expand into new profitable livelihoods, such as ecotourism. The CMPCA management committee will also include pangolin awareness raising in schools within the community. This will help secure the next generation’s commitment to protecting pangolins from poaching. Our conservation partnership will monitor the success of these first two CMPCAs with the hope of expanding on their success to secure Pangolins all across Nepal. We look forward to bringing you the next update soon.